The Montclair Public Library celebrates its role as the “go-to-source” for information and is a dynamic center in its community that serves its informational, educational, social and cultural needs. 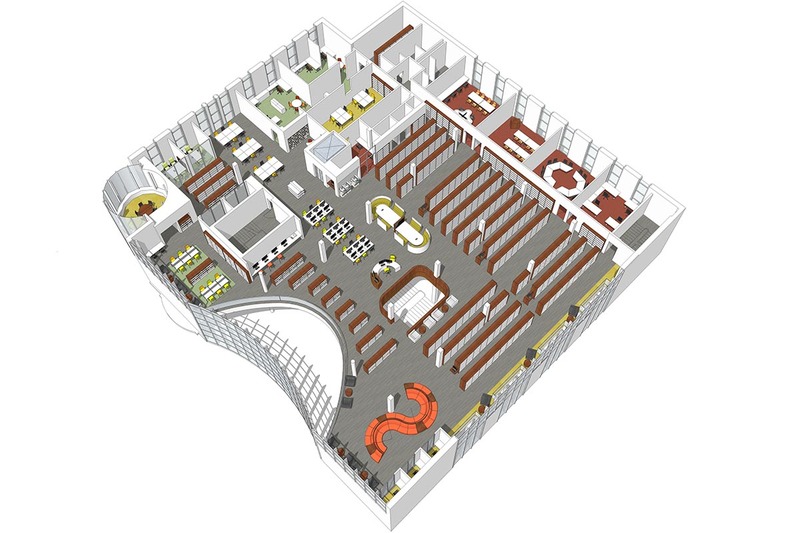 MDA’s challenge was to describe opportunities to support cutting-edge library service and transform the existing 50,000 sf footprint. A Welcome Zone has been created displaying popular materials and offering user sought efficient self-service options. The existing circulation desk, reduced in size, now welcomes users with easy-to-use automated return and kiosks for convenient self-checkout of materials. 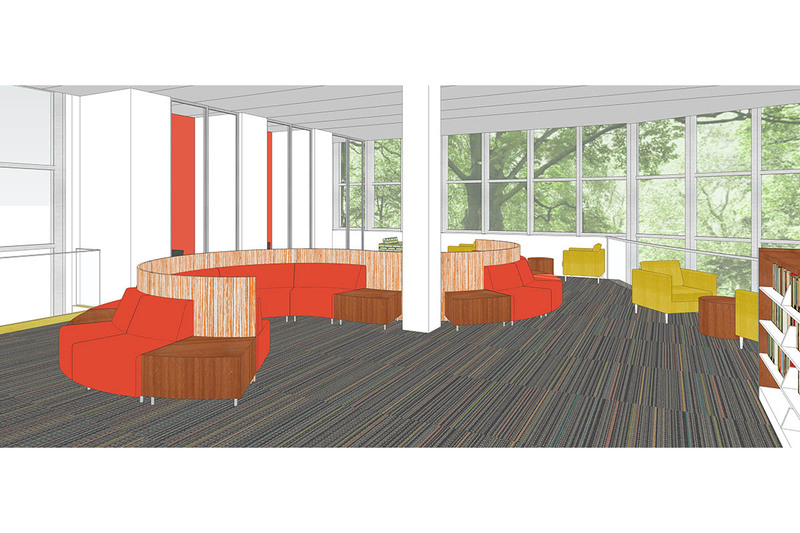 Stack areas and general table seating are redefined to carve out space for individual and group study, collaboration and meeting spaces to support individual choice, information sharing and cultural enrichment. A variety of seating and table configurations allows for the varied styles and uses. 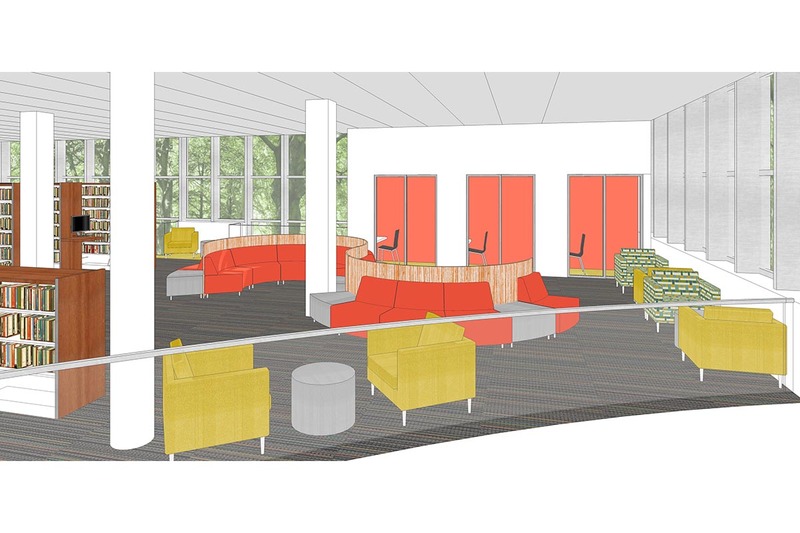 New spaces include the Virtual Office Business Center, an expanded Teen Zone, an enhanced large print area, a Maker Space, smart classrooms, improved program access and spaces, and open areas for flexible use and collaboration. With a seamless integration of technology, information is offered in a way that is easily harvestable, anytime, anywhere. Power sources and wireless connectivity are available at every seat. 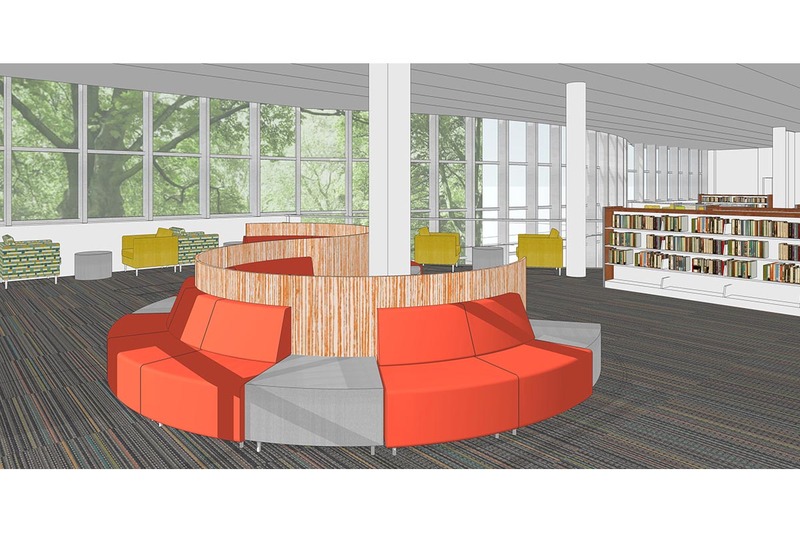 In the renovated Montclair Central Library, the physical and the digital become intertwined and inseparable creating a physical and virtual portal to an array of resources, technology and activity.